Crossdressing is usually something that starts fairly early in life. I became interested in crossdressing when I was about 12 or 13. At that time of course, that was not something that you did. Over the years I never completely lost that interest. The older I got, the more I thought about it. It took me a long time to finally decide to go out in public in skirts. In the area where I lived at that time (Cambridge, MA) it was not much of a problem. There are of course people who are surprised, but most of them get over it quickly. Only VERY few people have such deep hang-ups that they can't handle it. The situation where I get negative comments most often is from college kids driving by and yelling at me when I wait at a bus stop. None of them dare say anything directly to my face. I went out in skirts in other countries as well (Germany, France, England, Australia) and never had a problem there either. But I have to admit that I am somewhat careful where I go. For instance, I spent a night in a small redneck town in Australia. 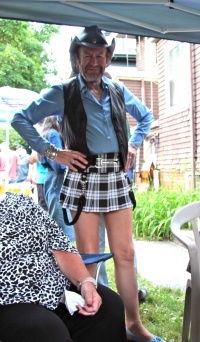 When I went to the local bar, I decided not to wear a skirt but my male western outfit. Even that caused some sarcastic comments from the local youth, I think I might have had a problem there if I had worn a skirt. I also don't wear skirts in Africa or most of Asia. You never know what strange laws they might have. 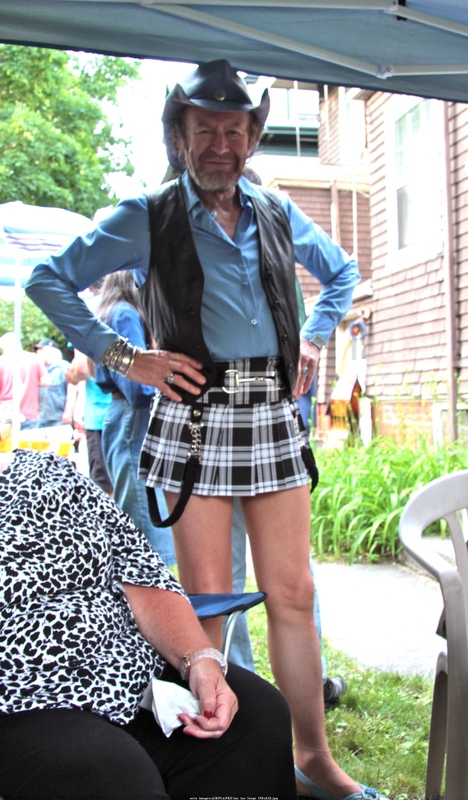 By now I love to wear miniskirts in the summer, it is fantastically comfortable. Here are a few pictures with various skirts.